Memorable Wedding: Cartoon Wedding Invitations - Because Getting Married Is Supposed To Be Fun, Right? Cartoon Wedding Invitations - Because Getting Married Is Supposed To Be Fun, Right? 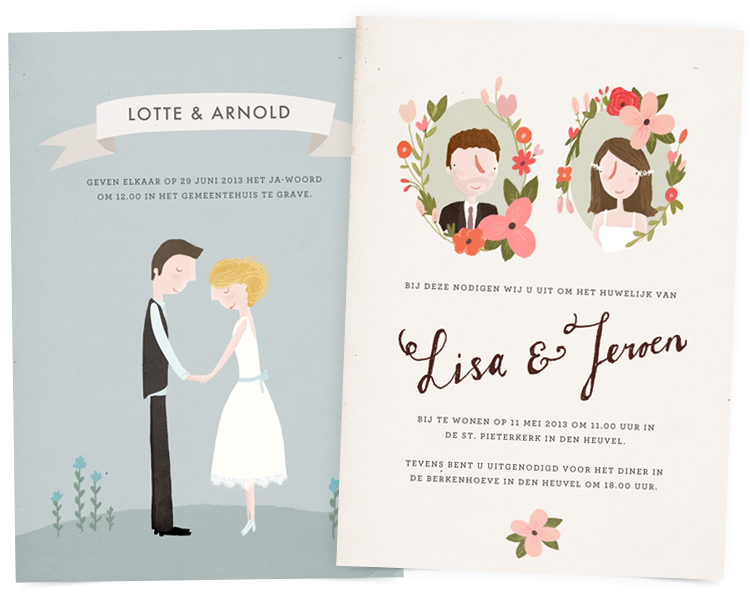 Cartoon wedding invitations are a fun twist on traditional formal wedding invitations. Let's face it, no matter how much money people spend on their wedding invitations, very rarely do you receive one that truly captures your attention. They all kind of look the same despite any effort to make them unique. This isn't the case with cartoon wedding invitations. Each wedding invitation is totally unique to the individual couple. These invitations are often creative and individual expressions of the couple's personality. You can provide all the detailed information a wedding invitation requires but the clever presentation will catch the eye of everyone! Your cartoon wedding invitations can include your favorite cartoon or comic book characters, perhaps dressed in full wedding apparel to represent you and your significant other. Another idea is to set it up like a newspaper comic, a four panel cartoon, informing people of your wedding date. You may also decide to have an illustrator create caricatures of the two of you for the enjoyment of friends and family. The caricature portrait could display the two of you in funny situations or poses. An exaggerated caricature portrait may be something that wedding guests would likely keep in a scrapbook to remember the event and laugh at your colorful and clever wedding invitation. You may even want to frame you caricature portrait to preserve what should be a life-long memory. You have several different routes in the creation of your cartoon wedding invitations. You may find a known caricature artist in your region or find some graphic designers capable of completing the job. The illustrators at Discount Wedding Invitations, an online source for wedding invitations, keep their cartoon wedding invitations realistic and true to your original photograph reference. Simply send your photo reference in a JPEG format or forward a link to a particular photo you have posted online. The illustrators are capable of capturing any pose in any situation imaginable. You can select from situations and poses listed at the site or set your very own requirements. It is important to describe in specific detail exactly what you're looking for. A $50 deposit is required and the design team emails your first set of proofs within 2-3 business days. The final product isn't shipped until you give absolute clearance of the proof, ensuring that you are satisfied with the job. You pay your remaining balance and within five days a set of cartoon wedding invitations are in your possession to be distributed to your guests.